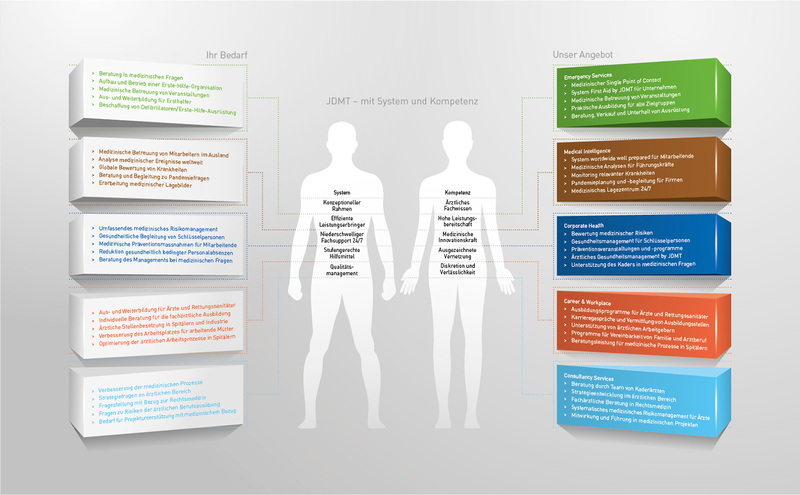 JDMT is specialized on performing medical services for Companies. Therefore, JDMT has developed a system, which is unique to Switzerland. It is significantly more effective, safer and more cost efficient than other approaches. JDMT educates and enables employees to provide effective and safe assistance in case of an emergency. Additionally, JDMT employs its own medical professionals for medical support during events.